An Alzheimer’s care facility served a resident more than food and medicine. The 81-year-old Alzheimer’s patient received eviction papers. Nancy said her husband is reacting to other Alzheimer’s patients who wander into his room which can’t be locked for safety reasons. Nancy said she can no longer afford private pay and her husband qualifies for Medicaid payment to the facility. Whether that plays apart in the eviction she can only speculate. A court hearing on the eviction is scheduled for next week. She was appointed to look after the health and wealth of the elderly and disabled — to help those who couldn’t help themselves. Her title was rather authoritative. She was, according to state law, a guardian-conservator. Authorities say she neither guarded nor conserved. 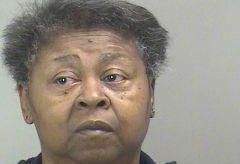 Instead, Dinah Turrentine-Sims pilfered the life savings of at least six people to the tune of more than $350,000, according to court records. She took more than $240,000 from one elderly South Omaha couple — a truck driver and his artist wife who had worked long and saved hard to put their three sons through college, police say. She withdrew chunks of their money from a Council Bluffs casino ATM — at times, more than $1,000 a day, according to police reports. All the while, Turrentine-Sims was operating under the supervision — or lack thereof — of Nebraska judges, primarily in Douglas County Probate Court. No one checked her bank accounts. No one made sure she had the court-required separate accounts for people in her care. No one scrutinized her annual reports. No one spotted the inflated numbers and unusual entries in her ledger. Now, Turrentine-Sims sits in a Texas jail, awaiting transfer to Douglas County on two counts of felony theft and two counts of abuse of a vulnerable adult. And those close to the case — including a local attorney and Douglas County Attorney Don Kleine — are calling for a review of the law and the courts that are supposed to protect society’s most vulnerable. 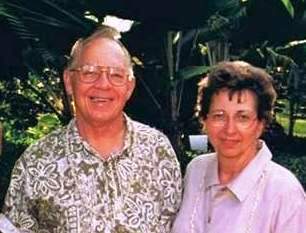 Jerry and Sophie Kresl on vacation in Hawaii, before his diabetes and dementia and her escalating health problems necessitated that they receive outside care. Authorities now say $240,000 of the Kresls’ assets were reduced to $343 after conservator-guardian Dinah Turrentine-Sims was appointed to them. You are currently browsing the archives for the Omaha category.